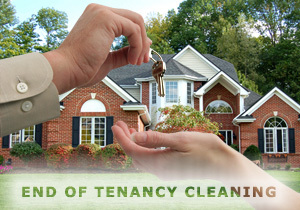 If you are looking for a professional end of tenancy cleaning services in London you are in the right place! Basically it's a service that requires the property to be clean professionally from top to bottom and at the end, everywhere has to look spotless. Besides end of tenancy cleaning we also offer Deep cleaning, Spring cleaning, Move in, Move out cleaning and One off cleaning. If you are moving in or out into a property or you are selling your home, we have the necessary experience and knowledge to provide you with final end of tenancy cleaning service with the personal touch from our professionally trained London cleaners. Very Important: When you are moving out of the property all landlords, lettings, estate agents, property managers and owners required to leave the property in spotless condition. And in return you will receive back all your money from deposit. We offer reliable and efficient end of tenancy cleaning service for residential and commercial properties all over London area. In case you are not 100% satisfied with our service we will re-clean your property for free. Your satisfaction is our main concern. To book your Pre / Post / End of Tenancy Cleaning in London, please click here or simply call us at 07495 386 472. Dust down of light fixtures/switches/plug sockets etc.